More shows will be added when we receive confirmations. Thank you for visiting Allison Glick Ceramics. 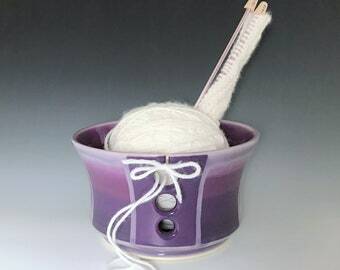 Our yarn bowl are back in stock! 2019 NEW WORK! I have started to experiment with marbled clay, or agate ware. They are made from adding a variety of hand-mixed colored porcelain clays to the white porcelain before throwing. The same food safe colorants I use to make my glazes are used to make my colored porcelain. The majority of my work is hand-painted. After the first bisque firing I hand paint the ombre patterning using underglazes. The pattern is set into the piece by a second firing. I lightly sand the piece before I apply the glazes. All my work is thrown on the wheel using high-quality porcelain clay. When the clay is partially dry, I trim the bottom, making a rounded “foot ring”, sign each piece with my maker’s mark, and alter the piece as needed. The pots are then bisque fired in my electric kiln. My glazes are mixed from scratch using non-leaded ingredients. The final firing reaches 2,232°F, ensuring that the pot is less than 1% porous, and therefore safe for use with liquids/food and can be used in microwaves and dishwashers. I sand and polish the bottom of each piece, so that it is smooth and comfortable to the touch and will not scratch any surfaces. I fell in love with making pottery in my first ceramics class in high school. 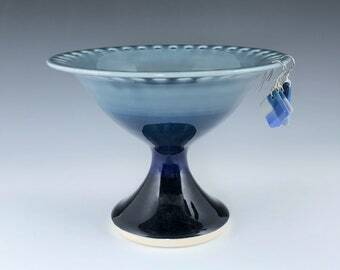 I continued and received a Bachelor of Fine Arts degree in ceramics from Umass Dartmouth. I am now a full time potter with a studio in Wakefield, Massachusetts. I manage the online shop and the accounting for our business. I photograph and list Allison's work and provide customer service. I also attend Arts and Crafts Festivals with Allison. Find AllisonGlickCeramics at the following upcoming markets! The two day festival is an exhibition and sale which displays original fine arts and fine crafts by over 40 juried artist exhibitors from Melrose and surrounding areas. The event, entitled “Arts in April” takes place at Memorial Hall, 590 Main St.
Just in time for Mother's Day - a juried crafts fair with unique handcrafted items from all over New England, including specialty food tents and vendors plus toe-tapping music. A great family day! This free event features nationally recognized artists and emerging, local creators. Festival attendees will have the opportunity to shop the work of 75-plus artists and makers who work with an array of mediums from jewelry, fiber, glass, and ceramics to photography, watercolor, and mixed media. The festival will feature food from five different food trucks, beer, wine and a live DJ. Arts Fest Beverly is a free outdoor festival in downtown Beverly that’s fun for the whole family! Over 150 juried fine artists and crafters, music and entertainment, kids’ activities, art-on-the-spot creations, artist demonstrations and outdoor food court with food trucks! The Seacoast Artisans 20th Annual Holiday Fine Arts and Craft Show is a juried show bringing together over 100 artists and fine crafters from all over New England. You’ll be sure to find something for everyone! The Green Bean Cafe will be open for lunch. The show is totally Handicap accessible. Admission is $5, children 14 and under are free. On the Friday, Saturday, and Sunday after Thanksgiving, the Worcester Center for Crafts is transformed into a holiday marketplace. This juried marketplace celebrates American handmade craft by bringing together craft artists of the highest caliber all under one roof. The Holiday Festival of Crafts is a one-stop holiday shopping opportunity for unique, handmade gifts and work suitable for collecting in a wide range of prices. Thank you for visiting Allison Glick Ceramics. 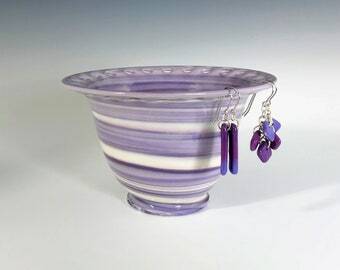 Our wheel thrown porcelain functional pottery and gift items are handmade individually. All are food safe and can be used in microwaves and dishwashers, with the exception of pieces containing metal components. 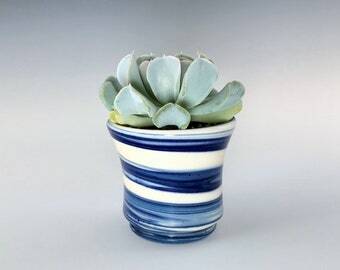 Allison Glick Ceramics only uses the information provided by you to prepare and complete your order, unless you specifically request additional follow up. We retain copies of all shipping labels with delivery notations for the sole purpose of providing tracking information if it should become needed. Allison Glick Ceramics will not share your information with any third party, with the exception of an insurance carrier to process a claim for a lost or damaged package.